Manna-seh Childcare and Education was established in 2010 to provide quality standard childcare services to parents and carers offering flexibility and dependability. Our primary focus is to build a ‘culture of welfare and safety’ in which the children in our care are protected from harm and enjoy a rewarding experience that compliment their formal education. The Manna-seh franchise is geared to providing local communities with a professional before/after school and holiday club service. We have designed a highly effective business model based on proven systems for operating a childcare club that effectively meets the needs of parents requiring a dependable and well-organised childcare service outside of normal school hours. The franchise offers the opportunity to run a business that is rewarding both financially and emotionally; working with young children to develop and flourish provides a unique level of job satisfaction. The foundation of Manna-seh’s success is a set of core values that are focused on excellence in welfare standards. The competence of staff is critical and so all employees are thoroughly assessed and DBS checked. Our club will respond promptly and appropriately to all incidents or concerns of abuse that may occur. Our child protection procedures comply with all relevant legislation and with guidance issued by the Local Safeguarding Children Board (LSCB). Manna-seh Childcare recognises the importance of using effective behaviour management strategies in promoting children’s welfare and enjoyment and we believe in the strong promotion of good behaviour in children through the acknowledgement and praise of positive, considerate and caring attitudes and actions. Often times we work in partnership with parents and schools in order to achieve this. We are also committed to providing healthy, nutritious and tasty food and drinks. Food and drink will be safely prepared with regard to the dietary and religious requirements of the children in our care. We ask parents to notify us regarding any special dietary requirements or allergies when they register their child. 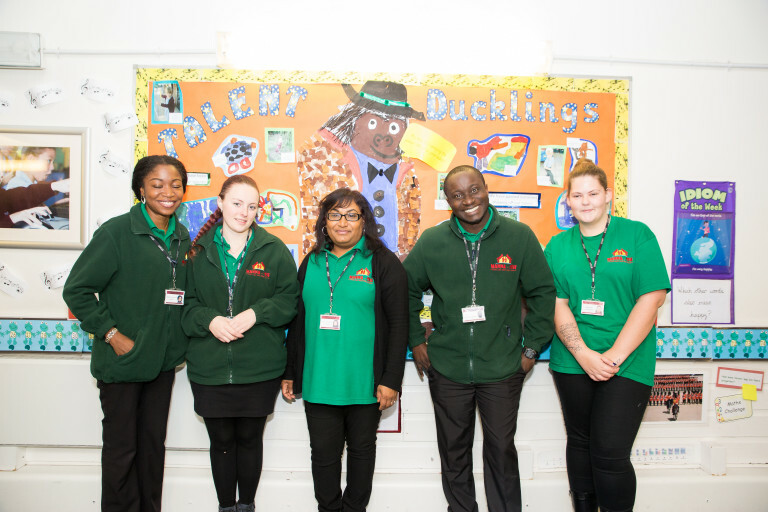 We are an organisation that provides affordable quality childcare and employs range of qualified and experienced staff to provide a safe, caring and stimulating environment for the children in their care. – We recognise and respect the uniqueness of each child. Children learn to follow their curiosity, think creatively and to work both independently and cooperatively with others. – We celebrate diversity and strive to instil integrity, compassion and confidence in each child. We give each child support and encouragement to become his or her own unique self.